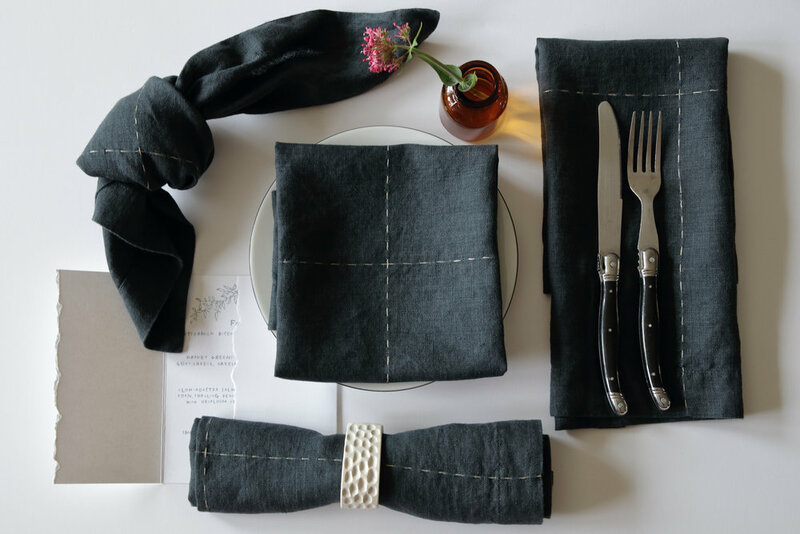 FOLD Signature Charcoal/Light Grey Linen Napkin handcrafted by FOLD Santa Barbara. Vintage linen with hand embroidery detail. 100% linen. Dimensions are 19"x19"